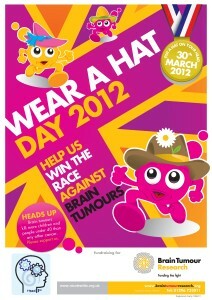 Please get involved in Wear A Hat Day 2012 and raise awareness and raise funds for brain tumour research. 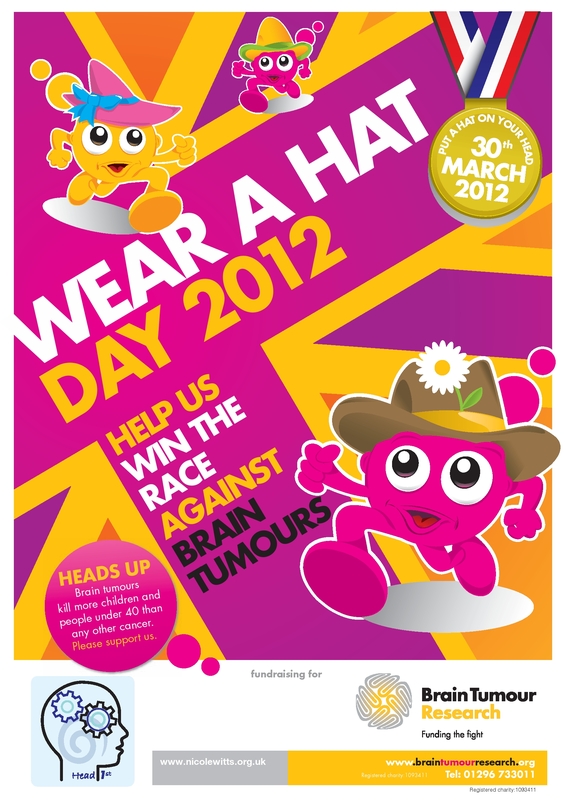 Nicole Witts is throwing her support behind Brain Tumour Research’s Wear A Hat Day on 30th March 2012 and would like you to join in! You can also sell Brain Tumour Research’s delightful Wear A Hat Day character badges – see here for more details and to find out how to make your own hat to the instructions of top milliner Kate Langrish, “Hat Maker of the Year 2010”. Famous hat designer Philip Treacy is a long-term patron of Brain Tumour Research and supporter of Wear A Hat Day and for 2012 Philip has designed an exclusive brooch – see here for details and to get yours. 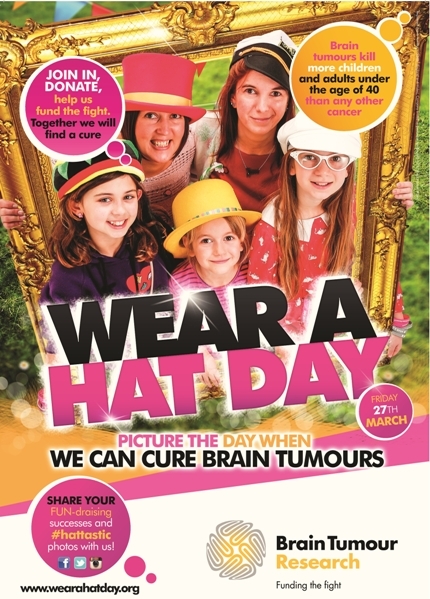 For your full fundraising pack with everything you could possibly need to get your own Wear A Hat Day off to the best possible start, click here for details or phone Karen on 01296 733011 or email karen@braintumourresearch.org .